What if you could have a conversation with Jesus Himself? What would He say to you? That's the concept of the classic devotional God Calling, which has affected millions of readers around the world. The challenging and encouraging daily inspiration continues to speak to readers today as it first did almost seventy years ago. 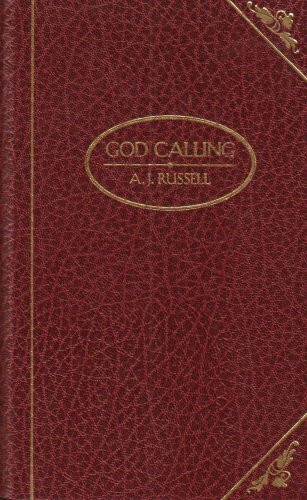 This deluxe collector's edition contains the complete, unabridged text of editor A. J. Russell's Christian classic. Readers will be comforted and encouraged by the words of Jesus in this extraordinary daily devotional. “Jesus.” The very sounding of My Name, in love and tenderness, drives away all evil. It is the word before which all the hosts of evil flee. Featuring the complete classic text of God Calling—the popular and extraordinary devotional—this journal edition provides ample room for your personal response to each day’s reading. Enhance your spiritual journey as you record what’s on your heart. Published by Barbour Publishing, Inc.